At TFS Loans we are committed to protecting and respecting your privacy. This Policy explains when and why we collect personal information about people who visit our website, how we use this information, the conditions under which we may disclose it to others and how we keep it secure. We may change this policy from time to time so please check occasionally to ensure you are happy with the changes. This policy was last updated in November 2017. By using our website, you are agreeing to be bound by this Policy. If you have any questions regarding this Policy, please email cs@tfsloans.co.uk, call 0203 476 0221, or write to us: Data Protection Officer, TFS Loans, Brook House, 26 Brook Road, Rayleigh SS6 7XJ. We obtain information about you when you use our website, for example, when you apply for a TFS Guarantor Loan, request a quote or call, or sign up to our newsletters. Information relating to your computer and how you use our website, for example which pages you have visited on our site or how long you stay on our site. We may partner with other firms (such as Hotjar) from time to time for them to review on our behalf the customer experience in relation to the use of our website so we can make necessary improvements. They are not permitted to share or use personal information we make available to them for any other purpose than to provide this service to us. Name/Address/Email/Phone number, given if you request a quote or call back, sign up for our newsletters, or apply for a TFS Guarantor Loan. Other information that you are asked for when you apply for a TFS Guarantor Loan online, including date of birth, loan purpose, your Guarantor details etc. Any other information you choose to send us, or occasionally information about you from other sources such as credit reference agencies, which we add to the information we already hold about you. We collect this information so that we can provide you with a Guarantor Loan or information about our Guarantor Loan products. We may monitor and record communications with you, such as telephone calls or emails for the purpose of quality assurance, training, fraud prevention and compliance with our regulatory rules. The personal information that you give us will be used by us so that we can identify you, provide you with relevant information, improve your browsing experience by personalising the website, enable you to apply for, or top up, your Guarantor Loan on our website, collect payments from you, notify you of any changes, or to provide you with product information. 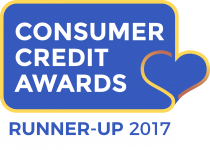 If you have applied for a Guarantor Loan we may also use the information you have provided to credit score your Guarantor. If you have opted in to receiving communications from us, we will send you newsletters and offers from time to time via your preferred communication channels – which you select on our site when you are asked whether you wish to opt in. We may need to share your personal data with our employees, agencies, suppliers (including any intermediaries or other product providers involved in the loan transaction), in order to process your loan application and administer your loan. As part of our loan application process we may search the files of credit reference and fraud prevention agencies. The credit reference and fraud prevention agencies we may pass your data to are Experian, Equifax, Callcredit and Cifas. We may need to disclose information about how you conduct your account to such agencies and your information may be linked to records relating to other people living at the same address if you are a financially linked. Other credit grantors may use this information to make credit decisions about you and the people with whom you are financially associated, as well as for fraud prevention, debtor tracing and money laundering purposes. If you provide false or inaccurate information and we suspect fraud, we will record this. 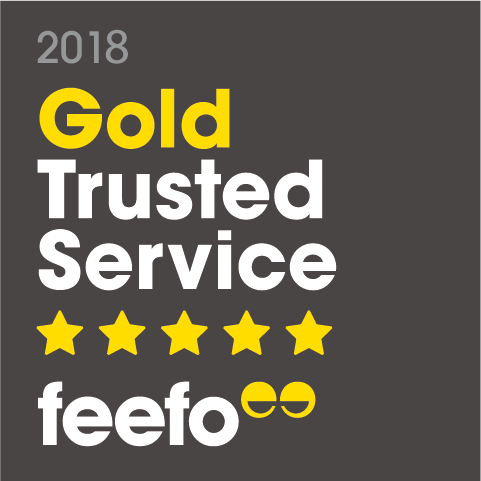 We share your personal data with our partner Feefo so that we can get feedback from you on our product and the service you have received. 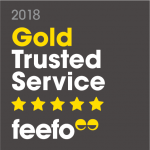 Feefo is registered as a data processor only and only use your data to ask for feedback about TFS Loans. At TFS Loans we ensure we have technical and organisational processes in place to prevent the loss, misuse or alteration of your personal information. All information is stored on our secure, password and firewall protected servers. All electronic transactions you make to or receive from us, will be encrypted using SSL technology. We give the same protection to electronic communications as we do to information we receive by post or phone. However, due to risks associated with data transmission over the internet, we cannot guarantee the security of data sent over the internet. You are responsible for keeping your password and user details confidential. We will never ask you for your full password over the phone. You have the right to request access to any personal information we hold about you free of charge. If you wish to see a copy of this information please write to: Data Protection Officer, TFS Loans, Brook House, 26 Brook Road, Rayleigh, Essex. SS6 7XJ. You may need to include evidence of your identity and address with your request letter. Please specify on your letter what information you need access to, including any account or reference numbers where applicable. We retain personal information for as long as we reasonably require it for legal or business purposes. This is between 25 months and 12 years. In determining data retention periods, we take into consideration our legal and contractual obligations as well as the expectations and requirements of our customers. When we no longer need personal information, we securely delete or destroy it. What happens to the personal data you give about your Guarantor? If you give us information on behalf of someone else, for example the name and contact details of your Guarantor, you confirm that the other person has given you permission to do this. You are also confirming that we can process this information as part of the loan application and that we can transfer this personal data to third party agencies or supplies in relation to the loan application (not for marketing purposes). This could include suppliers and agencies based overseas. You have the right to object to the processing of your data based on legitimate interests or the performance of a task in the public interest/exercise of official authority (including profiling), or direct marketing (including profiling), or processing for purposes of scientific/historical research and statistics. You can opt out of receiving communications from us at any time – click the unsubscribe links on the emails we send to you, or reply STOP to our SMS messages, or call us on .